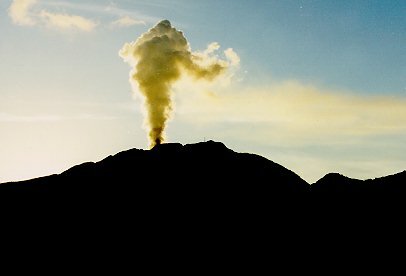 The vulcano on Montserrat has given quite a scare in the region over the past few years. 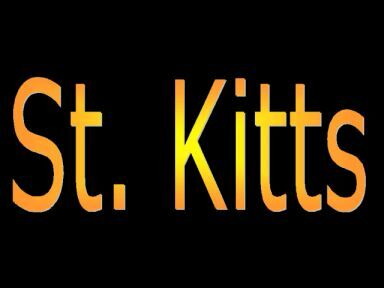 We on St. Kitts are not used to this, since our vulcano has been extinct for thousands of years. I can still remember the evening 4 years ago, when ash fell on St. Kitts like heavy snow flakes, driven by strong southerly winds. Jan 92 Start of earthquake swarms in southern Montserrat. Jun 94 One of the largest precursory earthquake swarms. 18 Jul 95 Initial steam and ash venting from the northwest crater. Further vents opened on 28 July, 20, 22 and 28 August. The initial stage of the eruption was wholly phreatic, with small amounts of ash and vigorous steaming. 21 Aug 95 First large phreatic eruption, which blanketed Plymouth in a thick ash cloud and caused darkness for about 15 minutes. 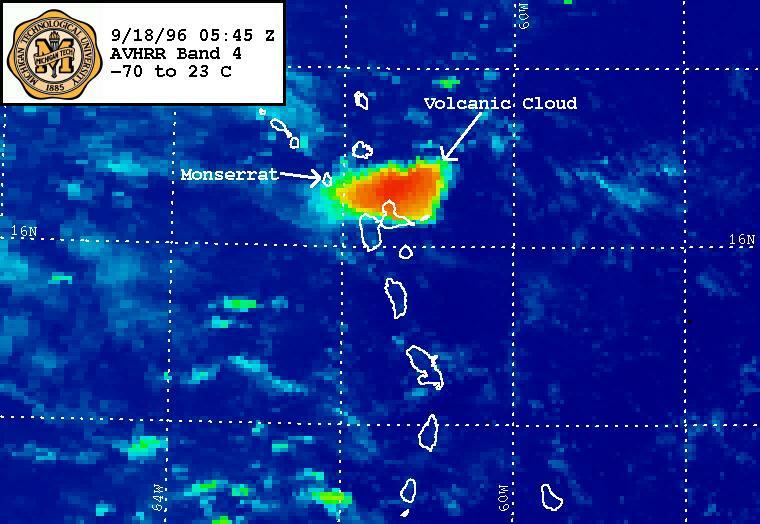 First evacuation of southern Montserrat initiated shortly afterwards. 30 Nov 95 Confirmation of dome growth within the 18 July vent, with incandescent lava seen for the first time. 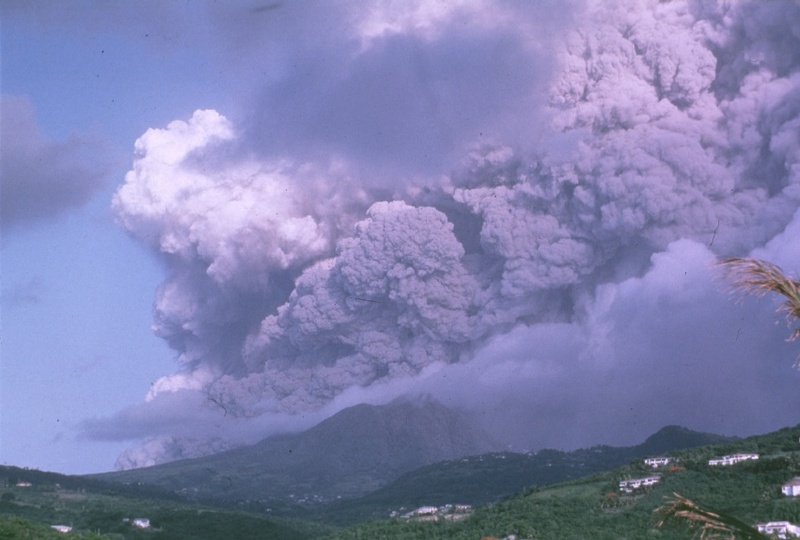 1-2 Dec 95 Evacuation of southern Montserrat, until 1 Jan 96. 3 Apr 96 First pyroclastic flow, which travelled about 1.5 miles from the dome, to the road which crosses the Tar River valley. Third evacuation started. 12 May 96 "Mothers Day" pyroclastic flows reached the sea for the first time. 17-18 Sep 96 A series of dome collapses lead to the first magmatic explosion during this eruption, at 23:46? on 17 September. Rocks and pumice fell in the south of the island, and houses were destroyed at Long Ground. 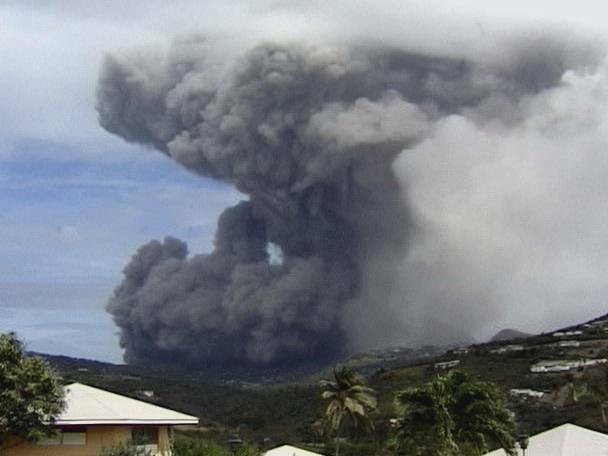 A major ash plume rose to about 40,000 ft, and about 600,000 tonnes of ash was deposited in southern Montserrat. About one-quarter of the dome was removed during the dome collapses and subsequent explosion. 25 June 97 Major pyroclastic flows in Mosquito Ghaut reaching to within 50 m of the airport. Surges and flows devastate Streathams, Rileys, Harris, Windy Hill, Bramble, Bethel, Spanish Point, Trants, and Farms. Surge reaches into Belham valley as far as Cork Hill. 7 confirmed fatalities, 19 missing presumed dead. 3 August Major pyroclastic flows into Plymouth. Burning of buildings on the side of Fort Ghaut 4 August Second episode of major pyroclastic flows into Plymouth. Large flow lobe overtops Fort Ghaut into Dagenham as far as the Technical College. Afternoon eruption shows definite explosive behaviour with a dark jet of material to 2000 feet in the north. Pumice fragments to 1.5 cm fall at observatory. 5-8 August Explosions on 12 hour cycle with ash clouds to 40000 feet, and pumice clasts to 8 cm at observatory. Column collapse confirmed. 21 September Major dome collapse to north-east of the volcano engulfing the area between Trant's Yard and White's Yard, destroying W. H. Bramble airport terminal building and entering the sea at various points along the coast. 22 Sept-21 Oct Second series of vulcanian explosions occurring at approximately 10 hour intervals, but with little or no precursory activity. In total 76 explosions occurred and ash clouds were sent up to 40000 feet with pumice fragments falling over all the island.